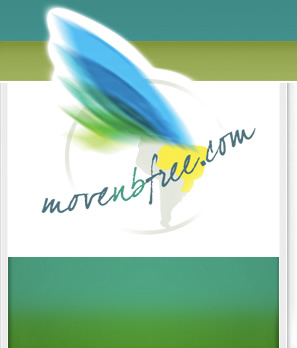 Brazilian Bliss offers you a trip of a lifetime! 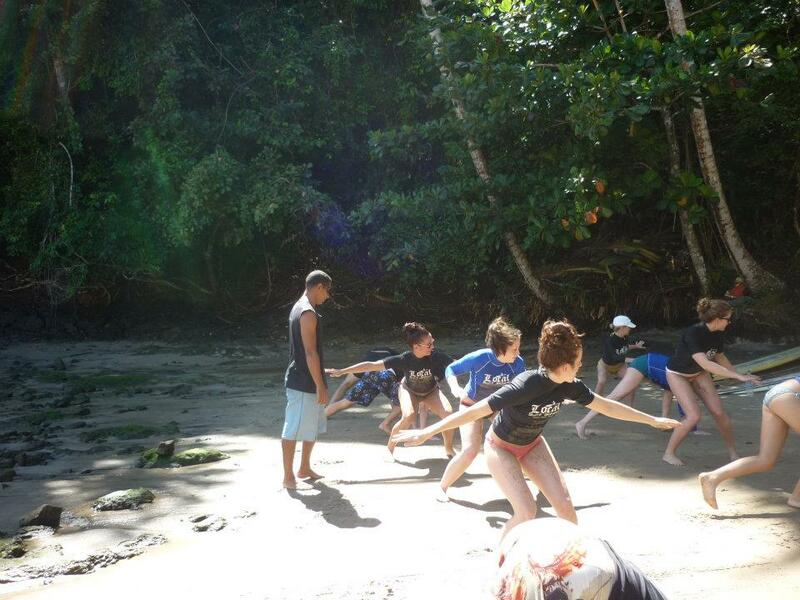 12 days filled with surf, yoga, dance, capoeira, adventure, culture and relaxation. C$2300 to $2650 (depending on choice of room), based on double occupancy! All activities are included in the package price so we encourage you to try them all out but participation is not mandatory. We want you to have fun in a stimulating but relaxing environment so we will never force involvement if you don’t feel like it. Itacaré is one of the major surf peaks in Northeastern Brazil. With the warm ocean you will have no problem staying in the water for several hours. You well get professonal personalized lessons by local instructors. 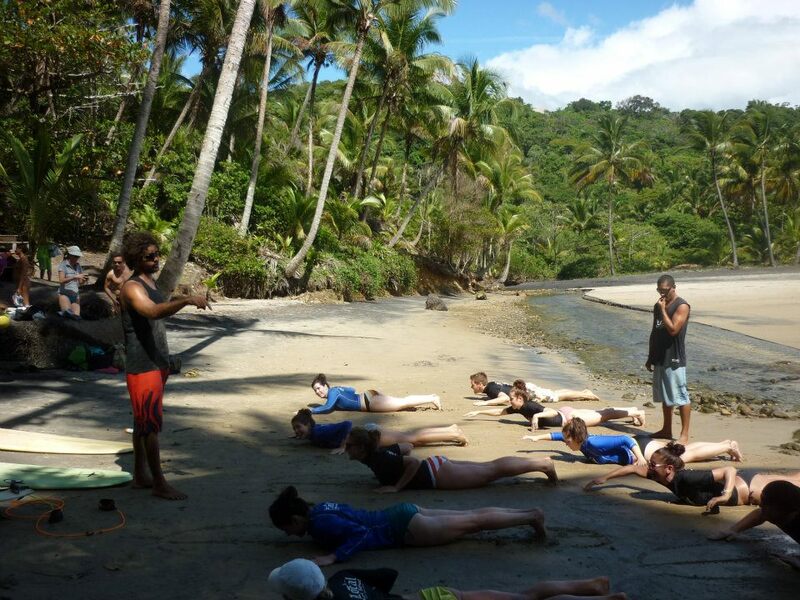 Your surf lessons (3 hours each) will be offered at various beaches (depending on tide and weather conditions), which will give you the opportunity to see and explore as much of Itacaré's natural beauty. 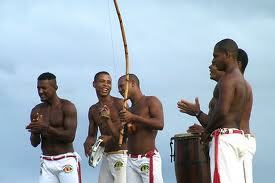 Afro-brazilian, samba-reggae, a mix of styles taught in a fun way. 75 minute class led by Brazilian instructor(s) and live drums! 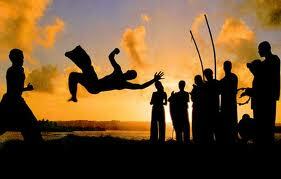 Afro-Brazilian art form that combines elements of martial arts, games, music, and dance. - A boat trip up the river, passing mangroves to get to a refreshing water fall, followed by a delicious lunch "moqueca", a typical bahian fish stew. - Hiking through the atlantic rainforest to "prainha" one of Brazil´s most beautiful beaches, with ziplining on the way out. Learn basic Portuguese to interact with the locals. ** If you want to come earlier or stay longer, you are more than welcome, and/or if you want to explore the neighbouring Maraú Peninsula, which offers an abundance of adventure, beautiful beaches, calm waters, bays and islands....we can arrange all this for you. This region has so much to offer so 12 days just gives you a little taste of what its all about.